Thanks to everyone that came down last night, much fun was had all round. 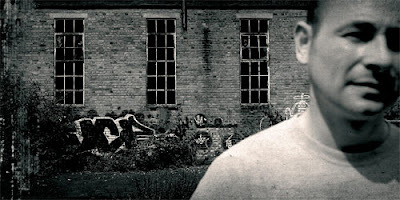 To shake off those hangovers under these miserable February skies, have a gander at this Essential Mix from Portishead's tour DJ Andy Smith in 1995. This is exactly the sort of stuff that I was bang into when I was 18 and going up to Bristol every weekend to funk & soul clubs, and has been on repeat in the Pac household for a few weeks now. Smile, summers on it's way! 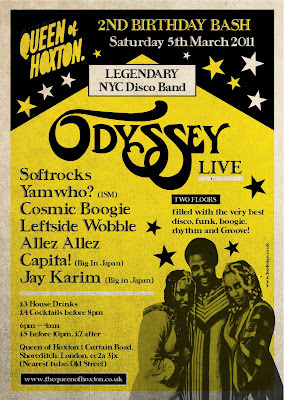 Myself and Jay will be dropping tunes early on at The Queen Of Hoxton's 2nd Birthday Bash featuring a heavy line up of disco dons headlined by the legendary Odyssey! You would be stupid to miss it. Saw one of these in action at the weekend - i want one - even if it is just to horribly irritate the girlfriend with a diverse array of wake up sounds! 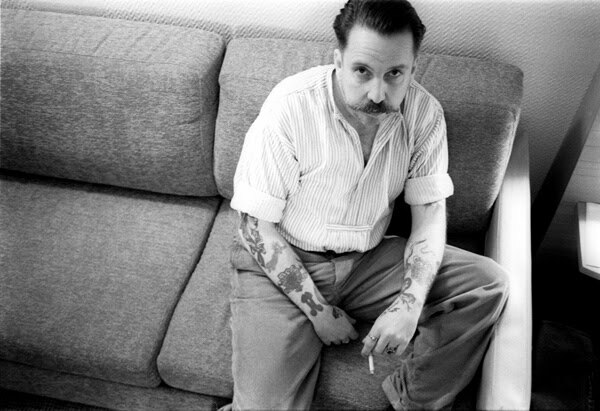 So Monsieur Spinney has finally given me the keys to the ferarri blog, which I don't know is a good thing or a bad thing (for you guys anyway), so be expecting some (possibly) incomprehensible posts from myself. 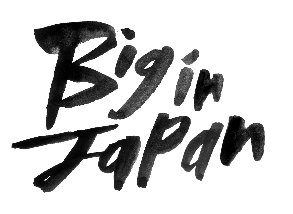 Anywhos, I thought I'd kick off my new life here with a new vinyl mix I've sorted out for the Big In Japan family. 6 Days left to listen to this one online. If only he had a regular slot?! 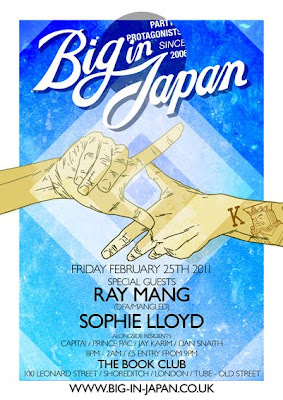 Hit the poster image for RA event link. Guestlist requests to poparp@gmail.com. Its gonna be another night to remember! 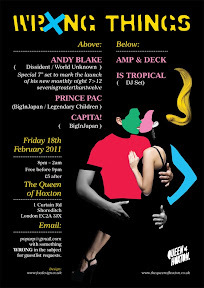 Pac and I will be joining Andy Blake on the 18th at the Queen of Hoxton where Andy will be playing a special 7" set in the lead up to the launch of his new blog and party 7>12. Click the image above for a slice of what it's all about!! 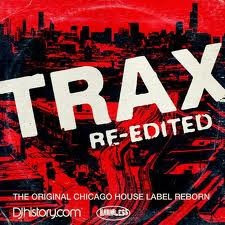 Just had a listed to the new Trax Re-Edited compilation Which I'm loving. Featuring some of our previous guests I suggest you click the image above and get ordering your copy.